Are you a blogger? 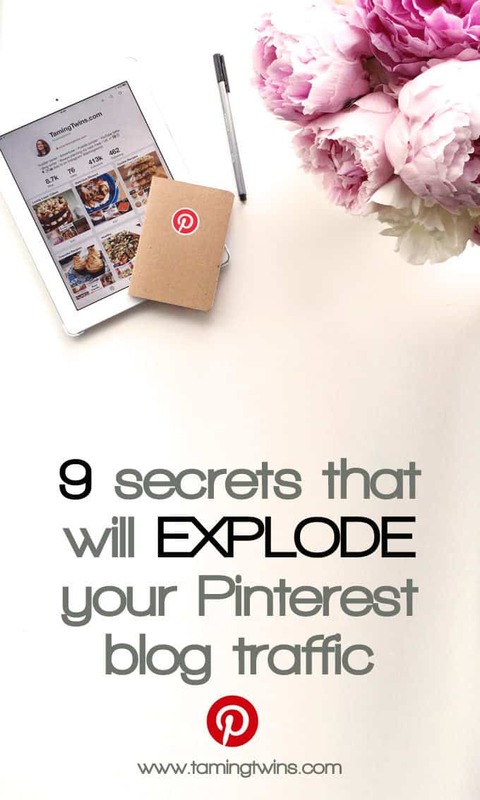 These are the secrets that have helped me grow my Pinterest following to over 400,000, with great levels of engagement. From widgets to keywords, how often you should pin and analytics, this is what you need to increase your Pinterest blog traffic. These are only secrets, in that people just aren’t doing them enough. These all seem like little things in isolation, and you’ve probably heard of many of them BUT Pinterest is a slow burner. 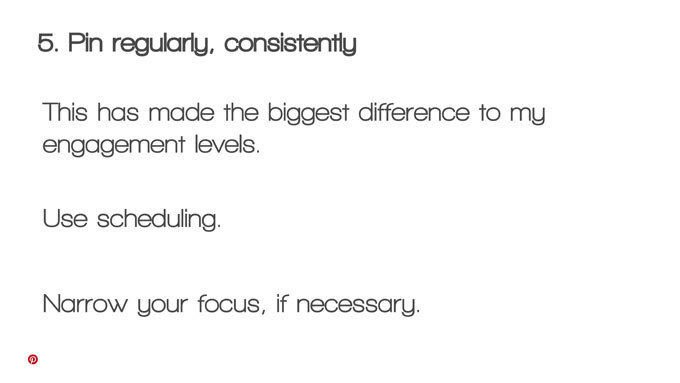 The key is to do all of these things over a sustained period and you will start to get results. These are the tools that have helped me to grow my following over there to over 400,000 people, with high levels of engagement and click throughs. This post is using the slides from the second of two sessions I delivered at Blogcamp in Birmingham last month. You can read my first post about the event here and if you were at the session, I hope it was useful, how are you getting on?! This post assumed that you’ve read my getting started on Pinterest post for bloggers and have done all of the basic points I recommend. If you haven’t yet, that is a good place to start before you move on to fixing these points. This sounds so obvious doesn’t it? I analyse so many Pinterest accounts and only a tiny percentage of them cross promote their Pinterest elsewhere. 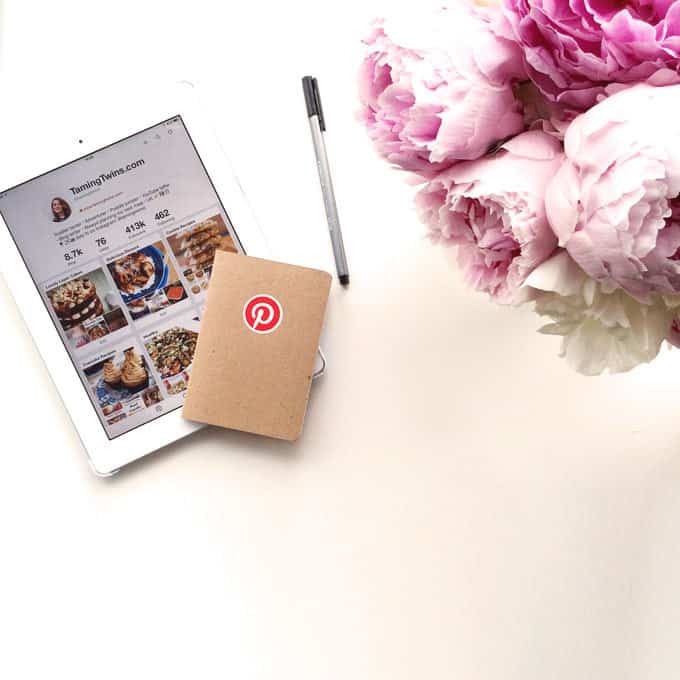 They pin content from all of their other platforms TO Pinterest, but what about reminding your followers elsewhere that you are using Pinterest? A few times a day, mention a brilliant pin on Twitter (not your own content, link to the pin, not the content direct). Posting about Nutella? Include a widget of your Nutella board at the bottom of the post. It’s visually appealing, shows people that you’re an expert on the subject, is useful to readers and encourages people to find you there. What’s not to love? Create your widgets here: Pinterest Widget Builder. So you’re making your blog encourage people to pin your content and you’re working hard on curating a fantastic stream of pins for your account, BUT don’t forget what people see when they first visit your profile. This will be the decision maker about whether to follow you normally. People don’t tend to browse profiles after the initial follow, but it is key for that first sighting. Keep your profile seasonal. In January, add healthy type boards to the top, Valentine’s in February etc etc. Whatever works with your own boards. Remember that Pinterest users are normally thinking two months ahead. 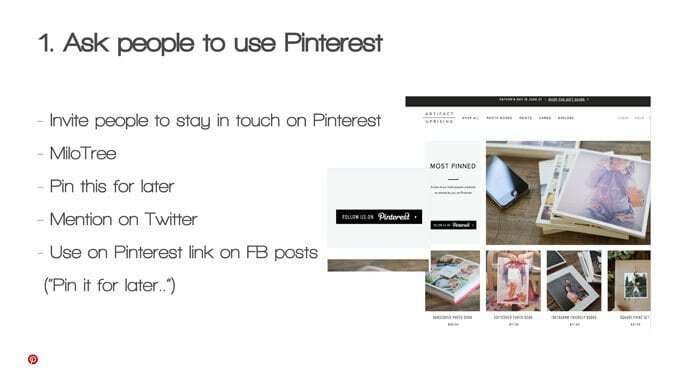 The majority of Pinterest content is found via search, so make your content searchable. Consider using searchable terms for board titles and in your profile too. I know, a boring, non quick fix answer. However you decide to pin, whether manually or with the help of Tailwind (more on that in a moment) or Boardbooster, pin and pin regularly. This is the thing that has made the biggest difference to my engagement rates. You don’t need to pin to every single board every day (I have hundreds of boards!) but just choose a handful, in your niche, that will be useful for promoting your own content to at some point, and be sure to add at least 3 – 5 pins a day to those. 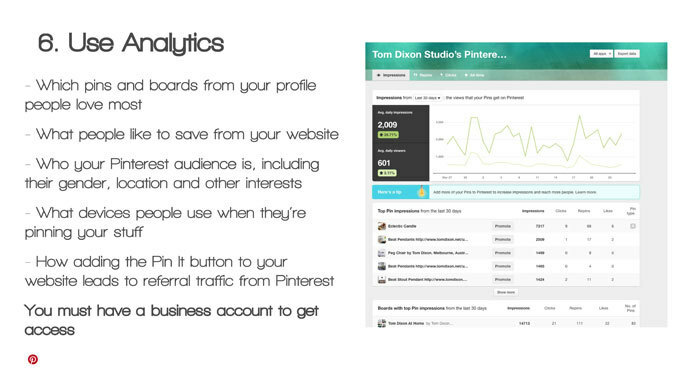 When you converted to a business account, you gained access to Pinterest analytics. The Tailwind (more on that in a moment) analytics are much more robust, but these are a good place to start. Find what’s being saved from your domain, which of your pins are performing well. This is also the best place to work out your engagement rate and click through rate. This is a brilliant figure to quote to brands you’d like to work with. Who cares if you only have 100 followers, if they all repin everything, that’s more useful than having 1,000 where only 1% repin. The analytics are fantastic, it will teach you exactly which of your boards and pins are performing best across a number of metrics, showing you the best boards to focus your attention on. Tailwind’s Smart Queue helps you to pin at the best times, so your audience gets content exactly when they are looking for it. 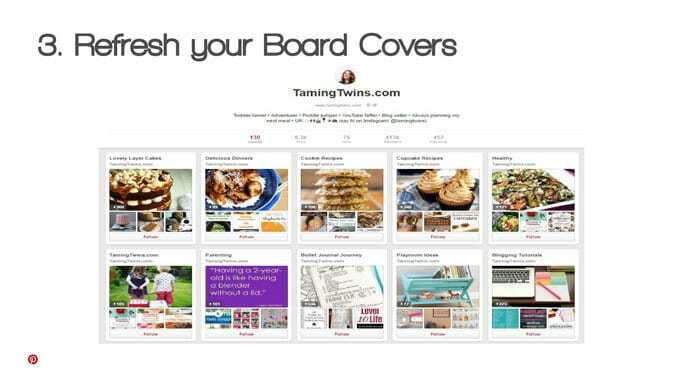 It’s worth signing up for Tailwind Tribes alone, the best thing to happen to bloggers for Pinterest for a long time (in my opinion). 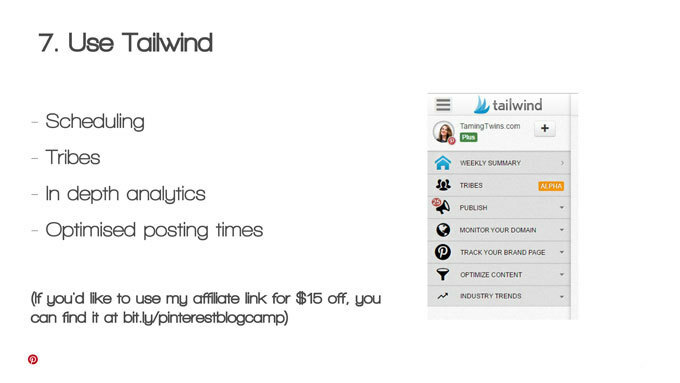 Read my post about Tribes here: Tailwind Tribes for Pinterest. 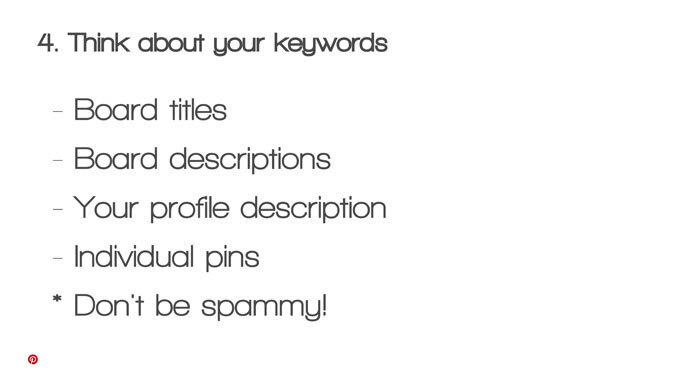 Go through your site and optimise some of your most ‘pin-worthy’ content. This is an ongoing process for me, I try and do a post a week or along those lines. Any progress is good right?! Not all content is right for Pinterest, focus your attention on making a handful of posts that are PERFECT for the site really fly, rather than attempting to make all content Pinterest friendly. 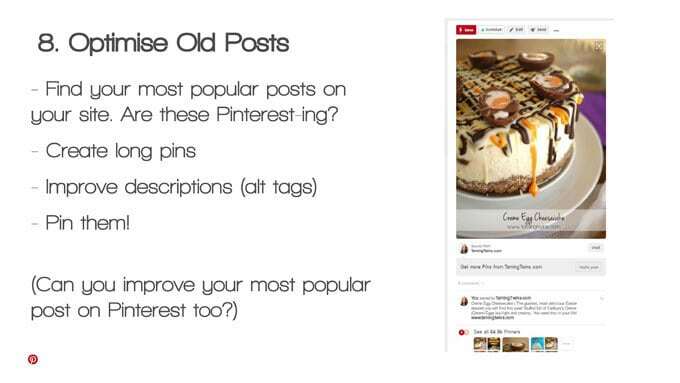 Improve the images, create Pinterest style collages, improve the <alt> tags and of course, pin them. 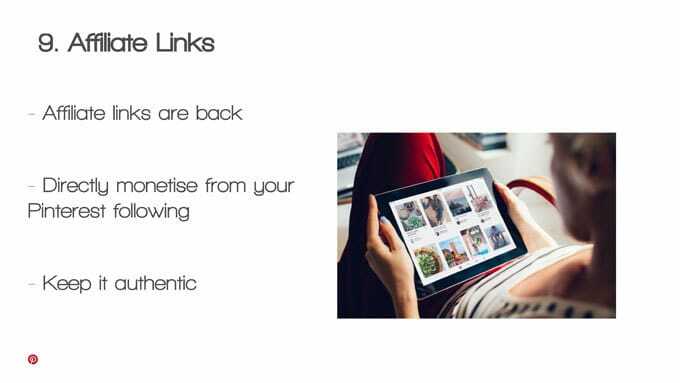 This is less about traffic and more about the growth of your blog as a business; affiliate links are back on Pinterest. This means that all of the hard work you are putting in in points 1 – 8 above, you can get a direct, monetary benefit from. Pinning a wish list? Use affiliate links. Posting a gift guide? Use affiliate links. Keep it authentic, but go for your life! I hope that was useful, please let me know if you have any questions or anything else you’d like me to answer in another post. Do you have any tips to add? I’d love to know. Disclosure: This post contains affiliate links, this means that if you click through on the links, at no cost to you, I’ll receive a small commission. As always, I wouldn’t recommend any product that I didn’t genuinely love. Thank you for sharing your tips from Blogcamp. I have been working on creating “Pin Images” for recent and past blog posts. 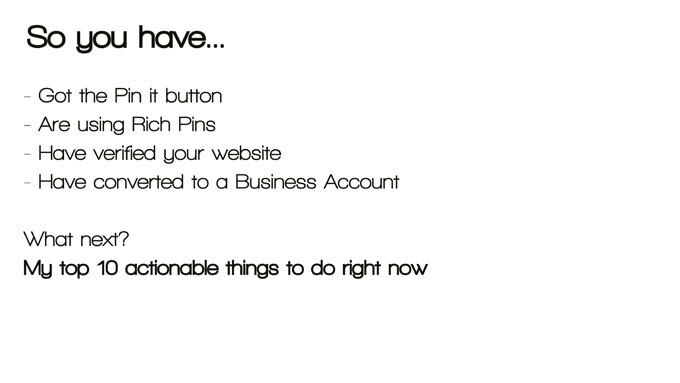 Using call to action “Pin this for Later” on Facebook. Aim to get on Tailwind in July and start tweeting Pin addresses. All really great advice! Hi sarah, ive been an avid follower of yours since the cake making days! 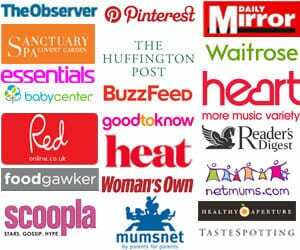 Ive read these articles and wondered – can you use rich pins on a wordpress.com free site? Ive tried but either im not technically smart enough or, you cant do it. Can you provide some further advice for me?